Now-a-days, we celebrate Christmas, decorate trees, write letters to Santa, exchange gifts and all. One thing I do with my daughter is read books based on Christmas with Z. Yes, I know that is expected from someone who is a story educator and works with kid’s books and stories. I got the idea to write this post, when some friends asked for Christmas book recommendations. 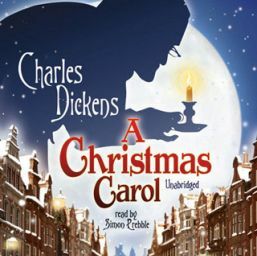 A Christmas Carol by Charles Dickens: Mr. Scrooge is an extremely miserable old man. No one speaks to him, comes to meet him or wish him on Christmas. Mr. Scrooge doesn’t believe in ghosts as well. Things change till one day an unexpected guest arrives at his house. 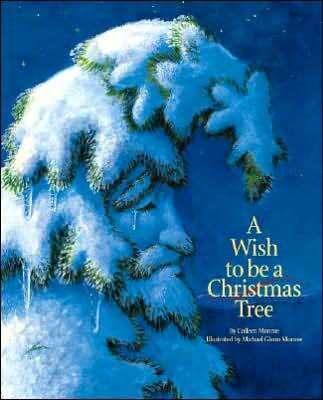 A Wish to Be a Christmas Tree by Colleen Monroe: An overgrown pine tree is mistaken as a Christmas Tree, the tree always wishes to be one… this story tells us how his friends help him become a ‘Christmas Tree’. 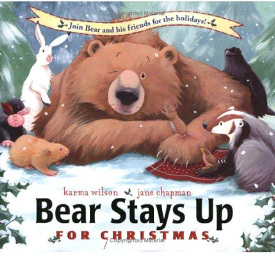 Bear Stays Up for Christmas by Karma Wilson (one of the favorites of my daughter): Bears are known to sleep in winter, but his friends have decided they will keep him awake on Christmas. So, they wake him up and he helps all his friends who are busy preparing for Christmas. This is when he realizes ‘giving’ is the best Christmas gift ever. 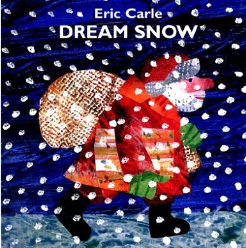 Dream Snow by Eric Carle: Eric Carle, how can we ignore him when we are preparing a list of kid’s books? On Christmas Eve, a farmer who is celebrating Christmas without snow imagines how it will be to celebrate Christmas without snow. He dreams of snow on Christmas and wakes up to a snowy Christmas morning. 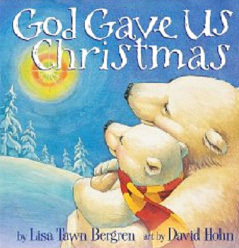 God Gave Us Christmas by Lisa Tawn Bergren: Mamma bear and a little cub prepare for Christmas, and the little cub wonders “Who invented Christmas?” That is when mum explains her little cub. How the Grinch Stole Christmas! 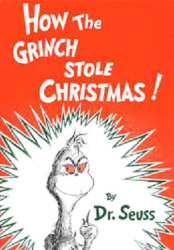 By Dr. Seuss: And I state the obvious… no kid’s Christmas book list will be complete without this popular book by Seuss. Book is about some amazing ‘Seussistic’ characters Grinch, Max, Cindy Lou, and the residents of Who-ville… tell us a heartwarming Christmas story. 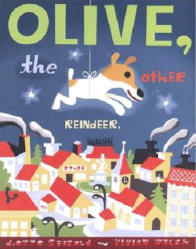 Olive, the Other Reindeer by J. Otto Seibold Joint: Olice is a little dog and this story tells us about his Christmas adventures. 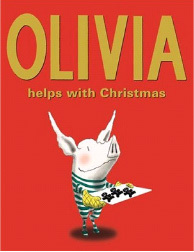 Olivia Helps with Christmas by Ian Falconer: Olivia is back and is in celebration mode… and she is super busy preparing for Christmas. She needs to wait for Santa, needs to make sure Dad has the tree ready, oversee mom prepare the Christmas dinner, hang her stockings and what not. And is she exhausted or what??? 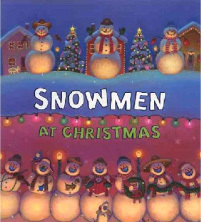 Snowmen at Christmas by Caralyn Buehner: Another favorite of my little pumpkin. It is Christmas Eve and a little boy makes a snowman and goes to sleep. It is then he dreams how snowmen celebrate Christmas. No list of mine is complete without the mention of ‘Julia Donaldson’… Stick Man by Donaldson and Scheffler is Z and mom’s favorite on the list. Stick Man is in danger just before Christmas. 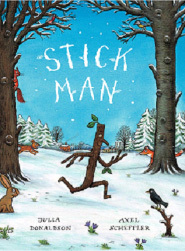 All he wants is to be with his Stick Lady and Stick Children … but will his wish come true. Santa… are you listening. My 3 year old loves it… but it is meant for kids between 5 to 9 years. 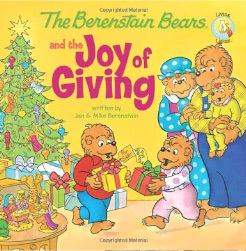 The Berenstain Bears and the Joy of Giving by Jan Berenstain: Christmas is all about Kindness, giving, love and sharing. Our favorite brother and sister bears are excited about gifts they will receive, but they experience something special on Christmas Eve pageant. 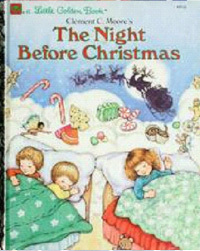 The Night before Christmas by Clement C. Moore: Love the book, this is perfect for your younger kids and the classic poem wouldn’t go wrong. 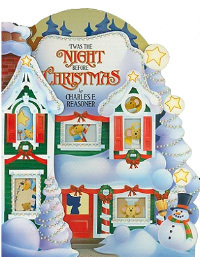 ‘Twas the Night Before Christmas by Charles Reasoner: Let your child explore this classic Christmas story in ways they never have before! The thick, big-trim, die-cut board book format gives everyone a fantastical inside view of what is happening in the house the night before Christmas. Do not blame us if your child is hooked on to this one. BTW – This was a part of our November Tale In A Mail. 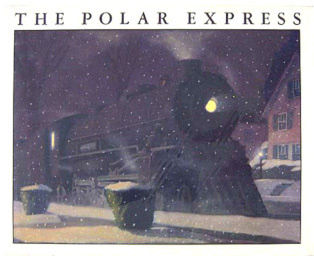 The Polar Express by Chris Van Allsburg: Yet another book I love, late one Christmas eve a little boy boards the Polar Express heading to North Pole. Santa is happy to give him what he wants… but the boy’s requests leaves Santa surprised. A beautiful Christmas Treat… this was a part of our November Tale in a Mail. A story-teller, a Communication Trainer, a Parenting Blogger, a wife to her best friend and mum to the most adorable 2-year-old – Zoe. Falak Randerian, plays many roles, her favorite Being Zoe’s Mom. She runs story telling & communication workshop for kids My Little Chatterbox. You can read her personal blog Being Zoe’s Mom and her parenting website which she runs along with her elder sister www.momsters.in.